Right now, enterprise mobility is the direction every corporate is working on. We have seen tremendous growth in cloud computing nowadays. Bringing your own device is getting more satisfaction and convenience in day to day work in office culture. The use of devices and apps loaded in them is also getting too much task for IT team. Artificial Intelligence, Internet of Things (IOT) and Augmented Reality are the center of the talks for every meetings and conferences in 2018. Gaining in popularity in 2017, Enterprise Mobility is the priority for most of the corporates in 2018. No doubt, Enterprise Mobility has powered in these two years but it has their share of limitations also. 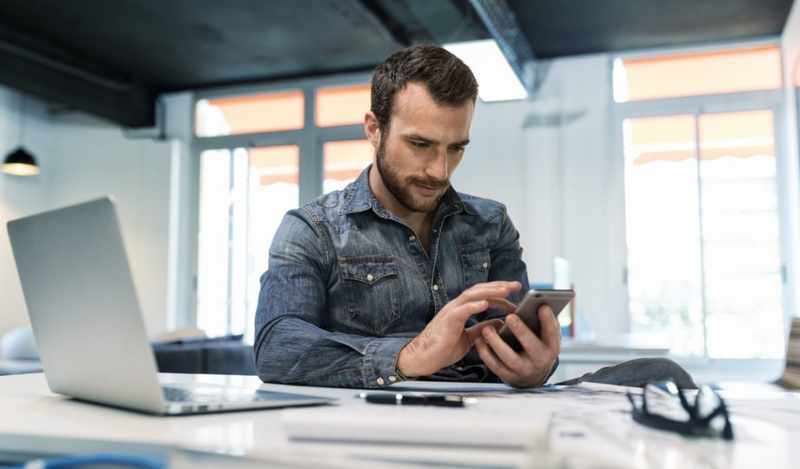 Bring your own Device culture is definitely boosting company growth, quick customer service, employee satisfaction and smoothening work culture. It is helping companies to achieve key aspects of their business but it has to compromise on the security levels. Companies have accepted BYOD culture, but it is bringing challenge in the form of different mobile OS support system. Thanks to Enterprise Mobility Management (EMM) solution that it helps companies to manage devices with diverse operating systems. Because of Enterprise Mobility Management System it gets easier to apply any updates or improvements at these various operating systems. There are organizations where traditional working system running since ages cannot be obsolete. Moreover, these kinds of systems sometime become a reason for not deploying Enterprise Mobility. To avoid such incidents, companies either need to find out intermediate system that can be a liaison between enterprise mobility and traditional working system. The best solution is to employ enterprise mobility and replace old age system to improve work efficiency. Corporates’ permission to let personal devices at office has actually brings threat to company data too. The employees connect or tether the devices with their laptops. Moreover, they connect their internet with their colleagues’ mobile phones too which anyhow increase the threat to data theft. We have seen that even the big organisations too don’t dedicate their budgets for Enterprise Mobility. Every corporates needs to look closely to manage their content passed on the devices. This would be the right approach to ensure the security level of corporate data. Organizations can achieve this by implementing EMM strategy. Let’s have a look. 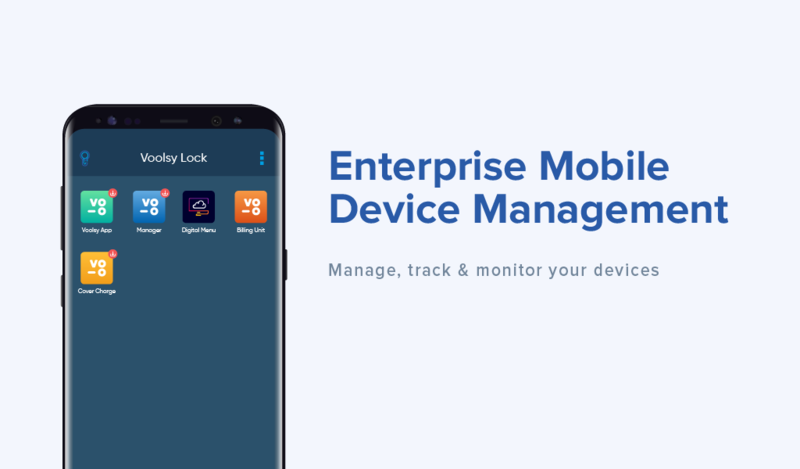 Enterprise Mobility Management is a policy configured and implemented for the enterprise data management circulated on devices. To maintain the data security, every organization needs to have Enterprise Mobility Managmenet (EMM) system. Enterprise Mobility Management helps organization to manage and control the devices. With EMM solutions, organizations can deploy policies restricted or allow to access company data or can easily monitor the activities of the devices. If the device is stolen or misplaced, EMM system can easily wipeout the data from the device. Even the system can help you track down the exact location the device was used last time. How Voolsy Lock can help you? Voolsy Lock is a powerful MDM software solution that help you control, manage and monitor corporate owned devices. 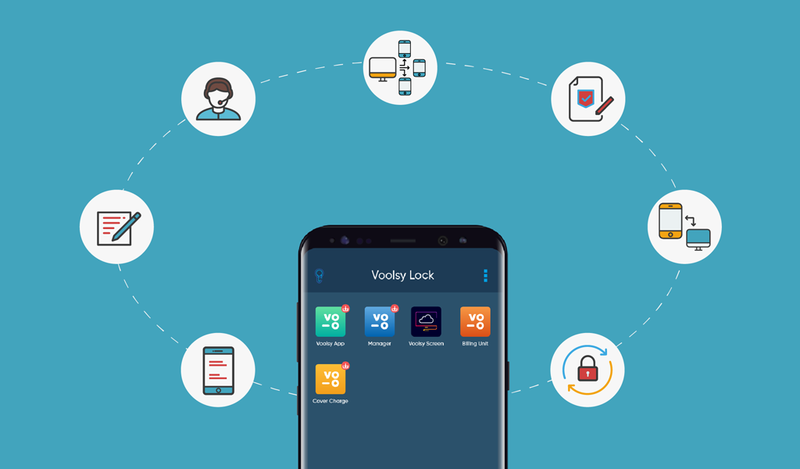 Free yourself from the worry of managing number of devices and employ Voolsy Lock system to get smoothen work processes. Voolsy Lock lets you control and monitor company owned devices with our robust system. You can easily add, remove and update the information quickly. With cost effective system and numerous benefits, organization can easily track down the usage of data over the devices. It leads them to plan the money spent over data. Every device linked with Voolsy Lock is safe because it can only be opened with the password. In any situations like device stolen or misplaced, organisation can easily wipe out the critical data or apps. Every exit and entry in the device is password protected. Even changing the settings is required a password, which leads Voolsy Lock a secured Mobile Device Management (MDM) system. Find Voolsy Lock interesting for your organization? Visit Voolsy lock pricing page or drop us a mail at godigital@voolsylock.com!